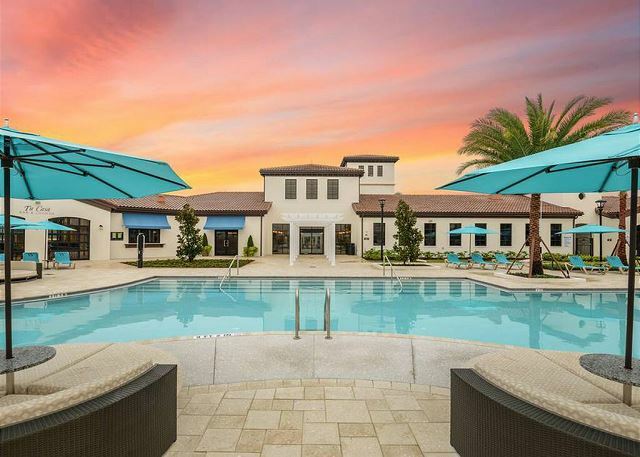 Welcome to our Newest and best Windsor at Westside Resort ultimate getaway in this fantastic community just minutes to the parks. 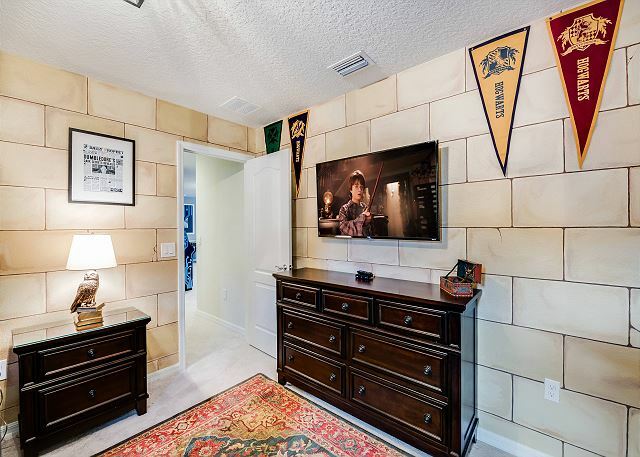 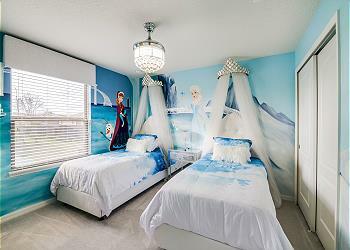 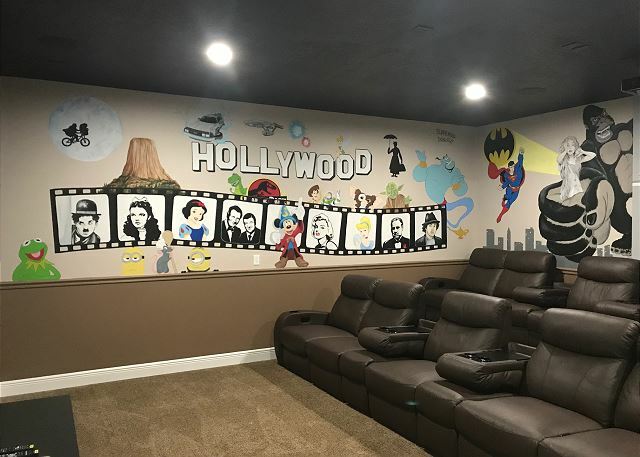 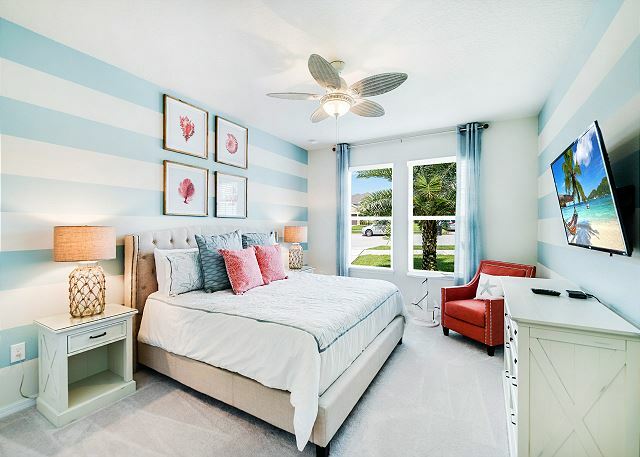 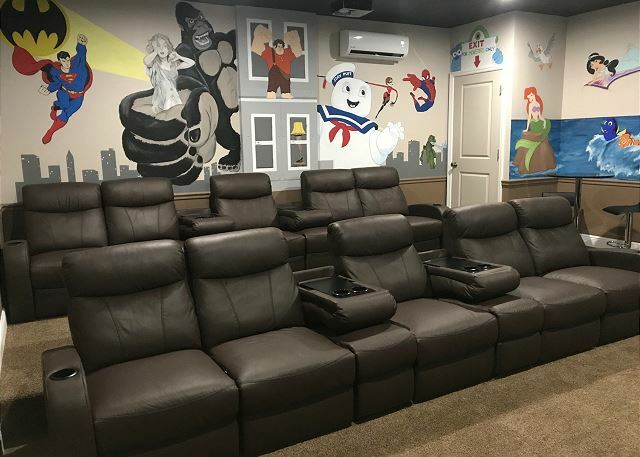 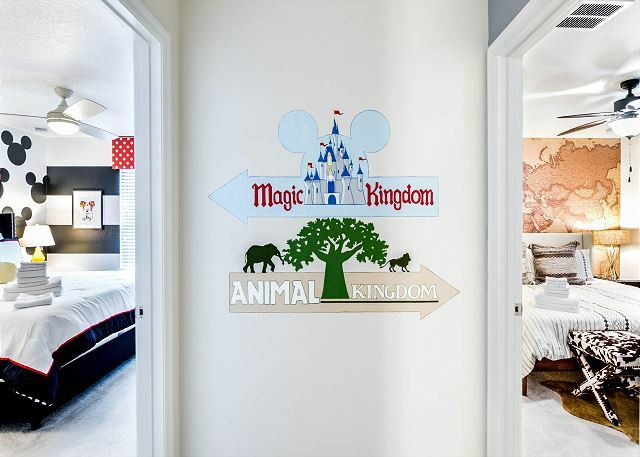 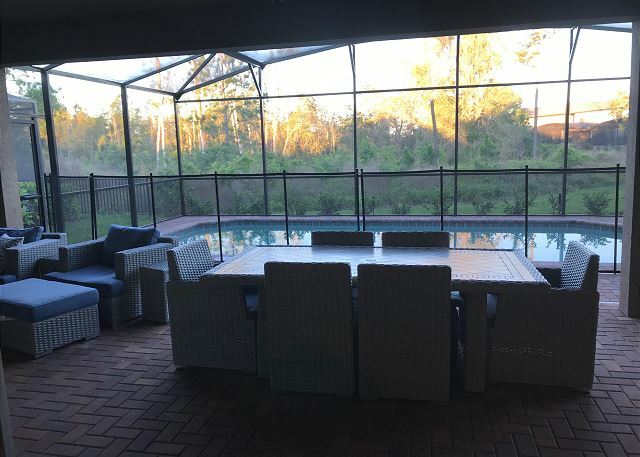 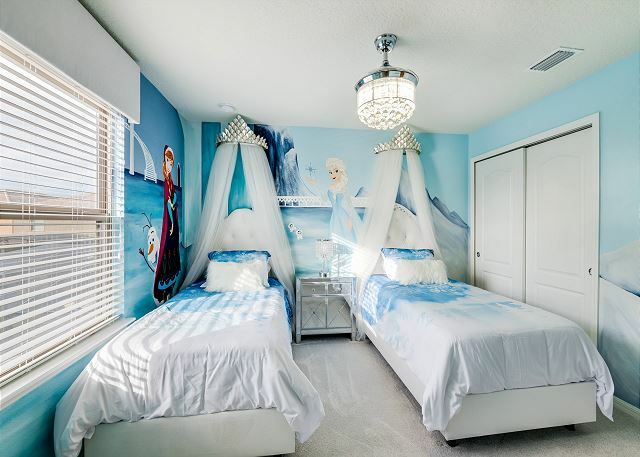 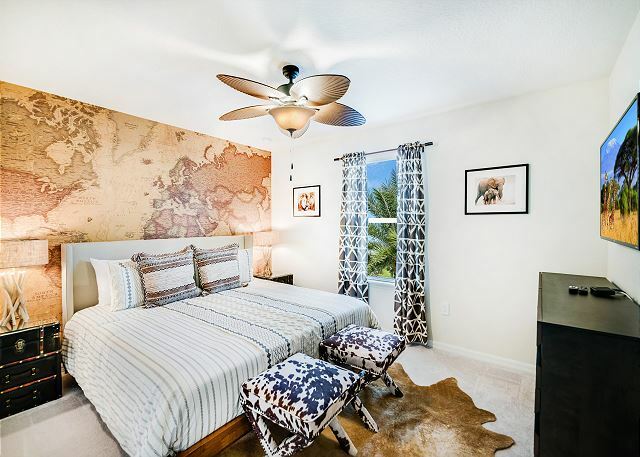 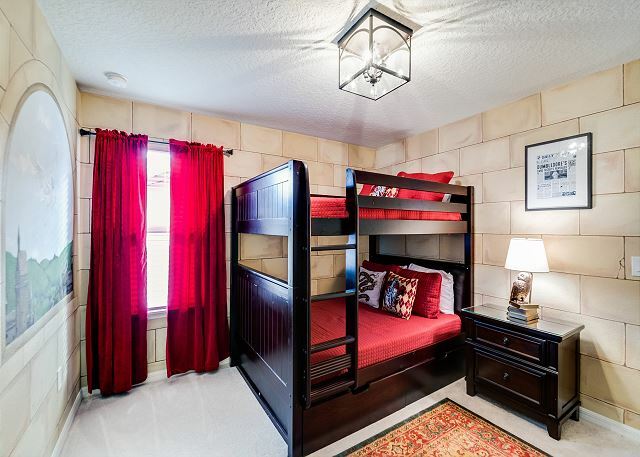 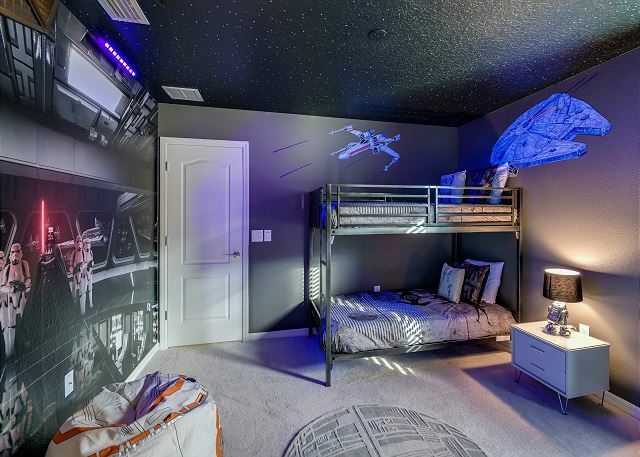 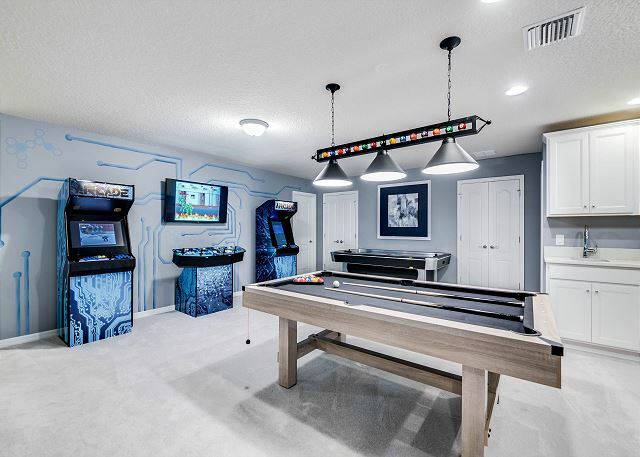 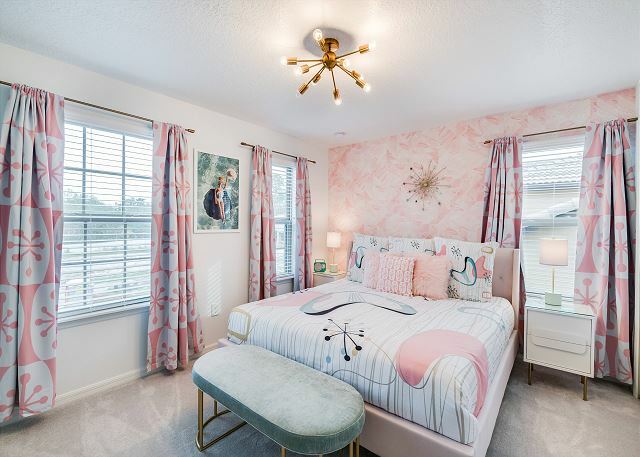 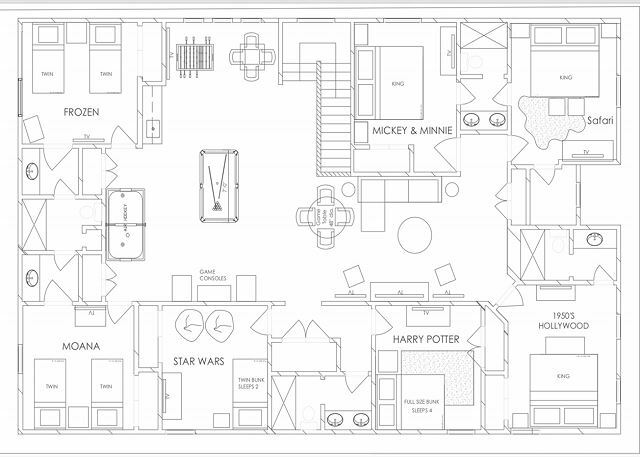 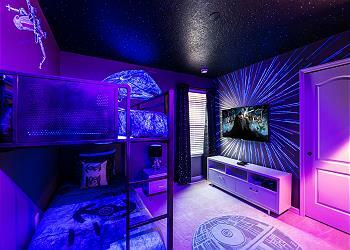 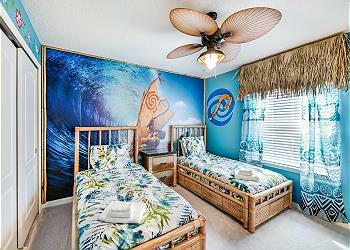 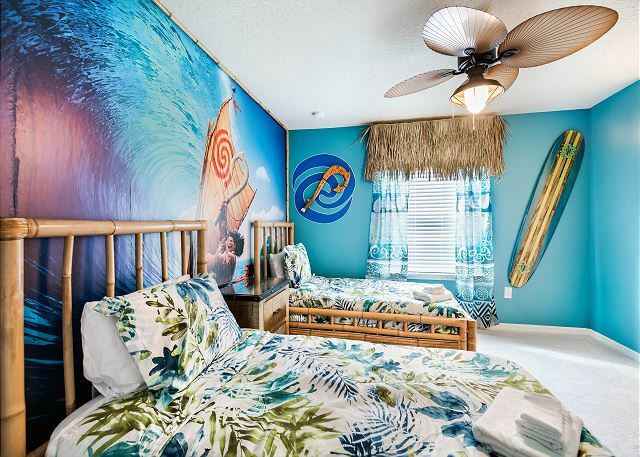 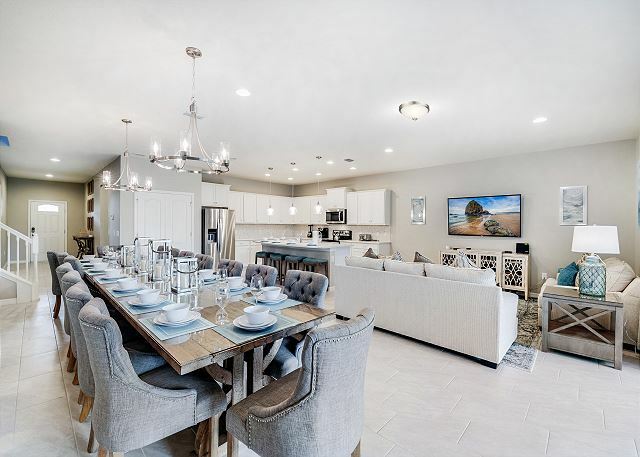 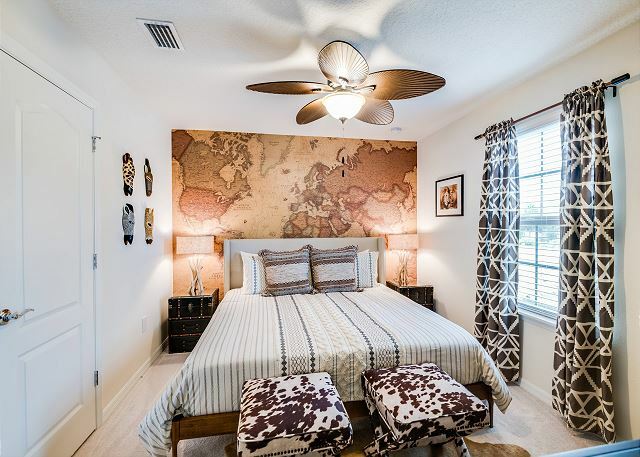 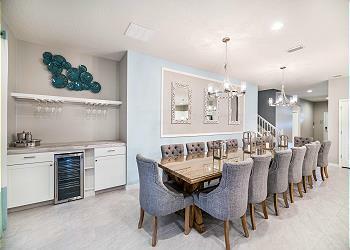 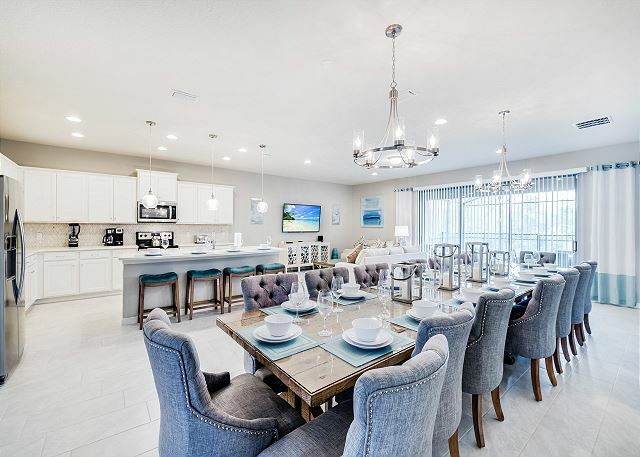 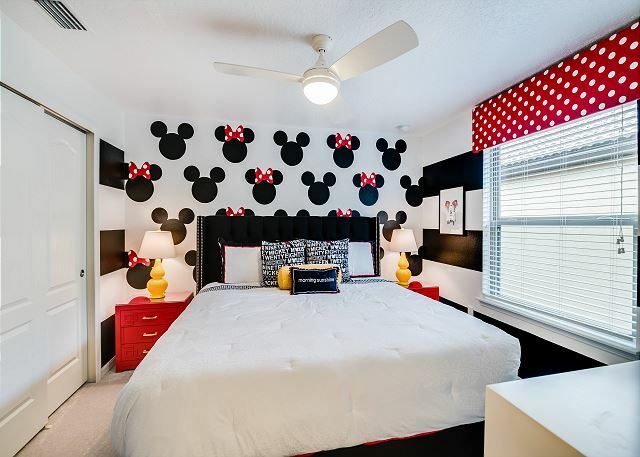 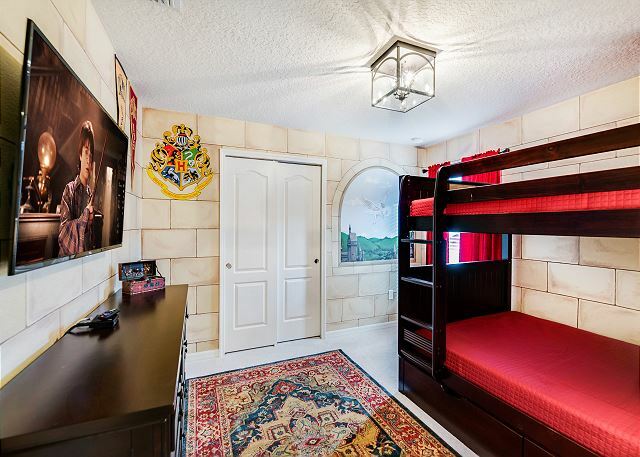 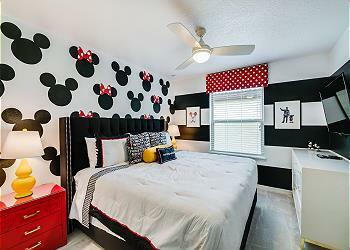 This 9 bed 6 bath home is brand new and has been, professionally, exquisitely designed and decorated with themed rooms such as Animal kingdom/Safari, Mickey & Minnie, 50’s Hollywood Glam, Star Wars, Harry Potter, Moana, and Frozen. 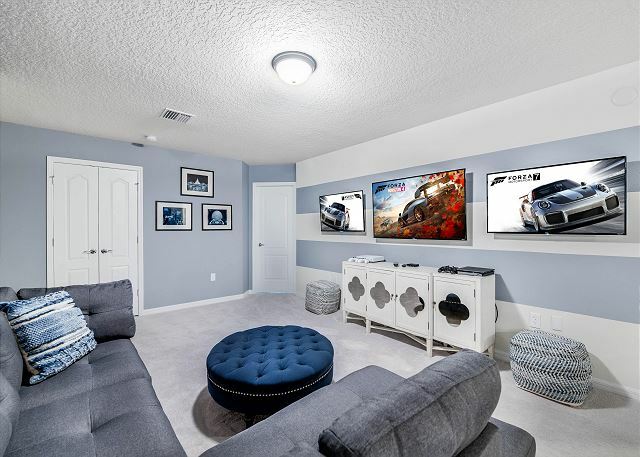 Everything needed to make a vacation that dreams are made of, Including 13 Smart TV's with cable, one in each bedroom, and 2 gaming. 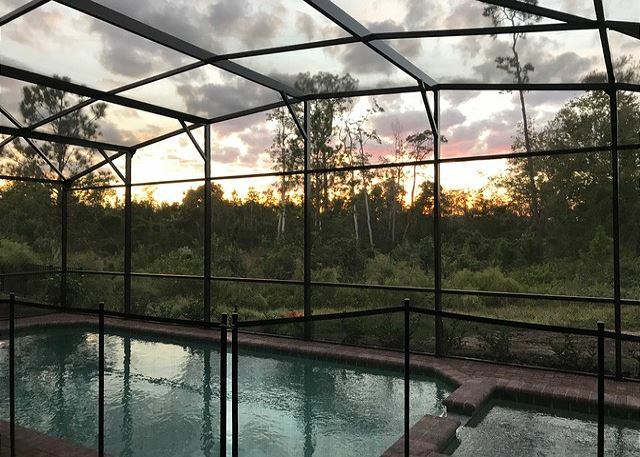 This luxury resort home is on a cul-de-sac with no rear neighbors for added privacy and a lush conservation backyard view. 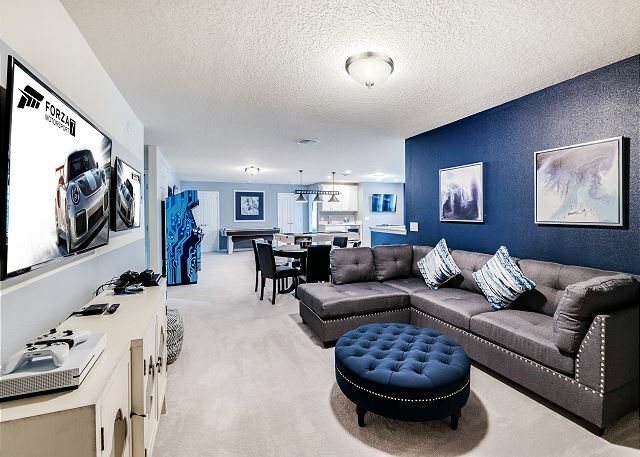 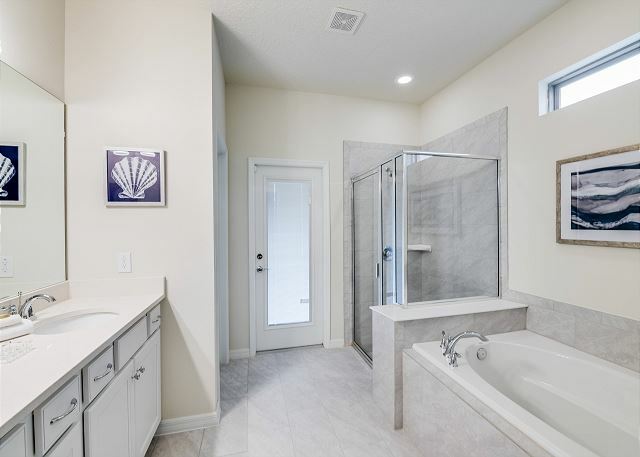 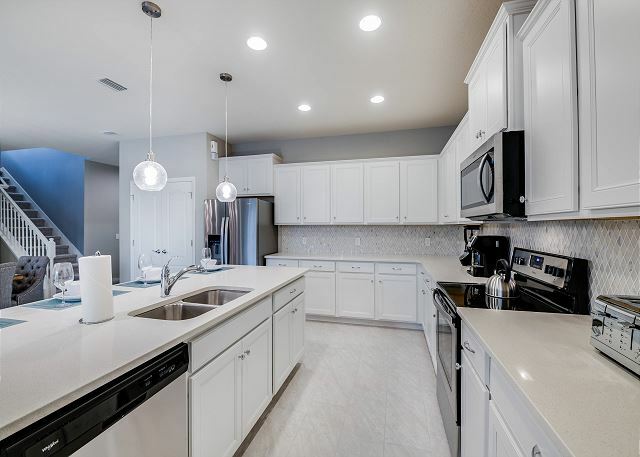 You enter this home to an airy open concept main floor, with state of the art Kitchen, white cabinets, quartz counter tops, & stainless steel appliances. 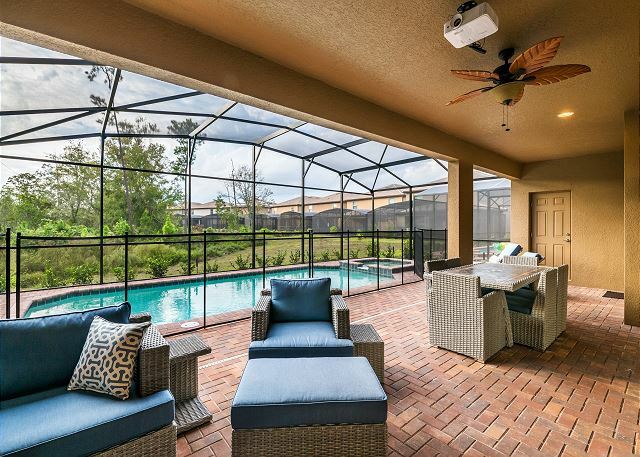 This opens up to the spacious living and dining area with huge patio doors looking out to the screened in covered lanai, large pool and spill over spa. 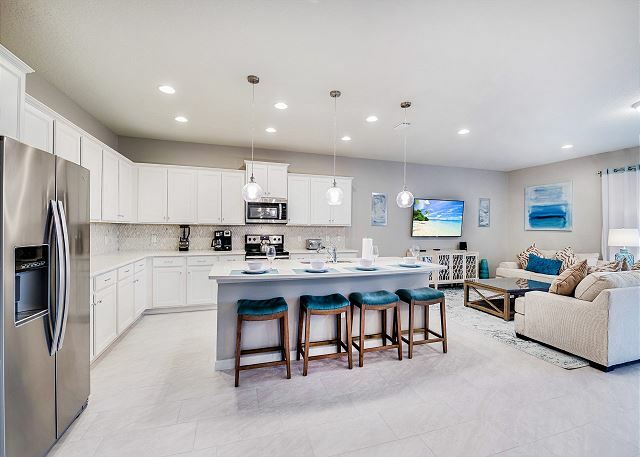 For your convenience, there is even a mini bar and fridge for your favorite beverage to enjoy by the pool, spa & outdoor theater. 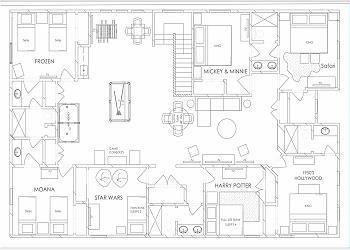 Continued downstairs, are 2 King bedrooms, 1 with master ensuite bath, with a door from the bathroom directly to the pool area. 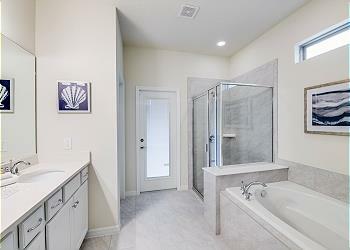 Very convenient for bathroom use, changing out of bathing suits, and showering after swimming. 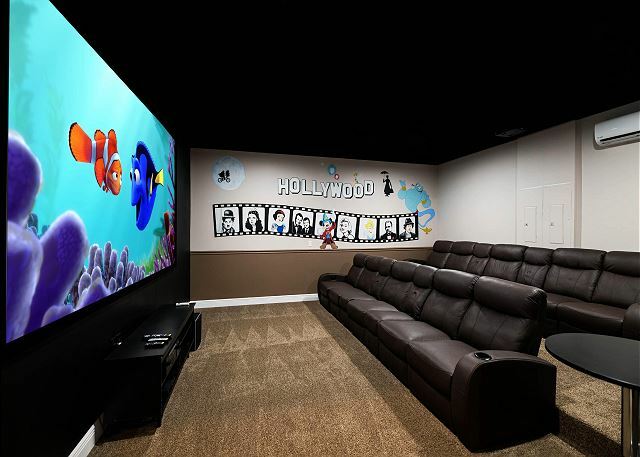 To cap off the downstairs entertainment, you will be delighted with the large air conditioned private movie theater. It features a huge 135 inch screen, with 2 rows of comfy leather reclining theater seats. 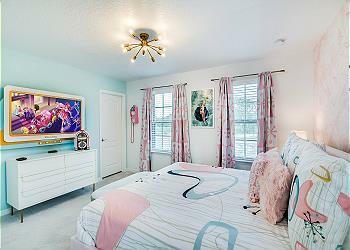 Also provided is an HD Smart Blue Ray DVD player to play or stream your favorite movies. The arms of the theater seats even lift up so can sit additional people or choose to lie down for the ultimate in relaxation. 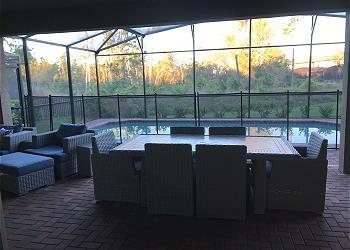 We also have 2 sets of pub tables and chairs to enjoy a full dine in experience. 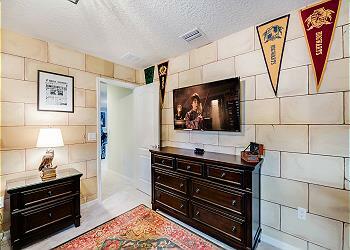 Upstairs you will find 7 additional bedrooms. 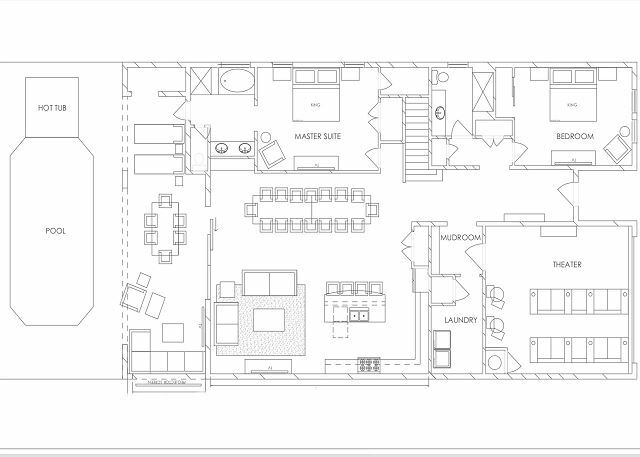 But first, you will walk into the absolutely massive loft lounge area set for your total entertainment pleasure. Here, you will find a fantastic game area with pool table, air hockey, foosball & poker table. But it doesn’t end there. 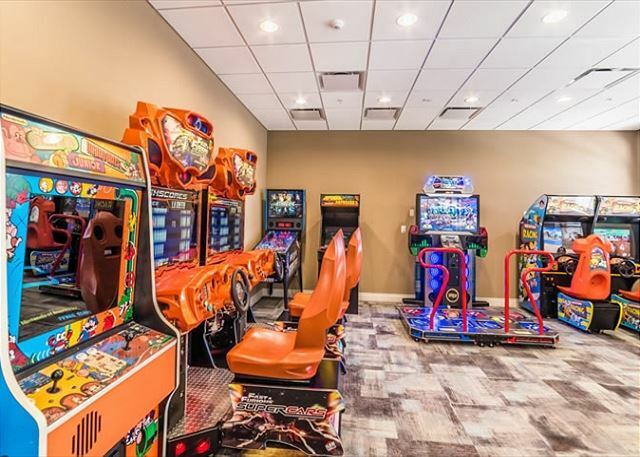 You will also find 2 full size 2 player stand up multi game arcade games, and one 4 player, each loaded with over 600 games for hours of fun and excitement young and old alike. 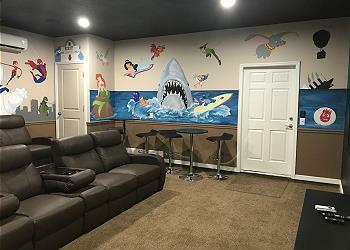 From there it just gets better for the gamers. There are 2 dedicated TV’s, one for PS4, and one for Xbox, and a 2nd PS4 in the Star Wars bedroom, all preloaded with Fort Night, let the gaming begin! The lounge also sports 2 more large 4K smart TV's. 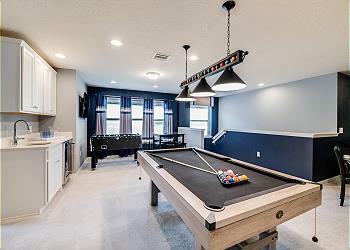 One in the games table area next to the full wet bar with mini fridge and pub table, where you can enjoy your favorite chilled beverage. 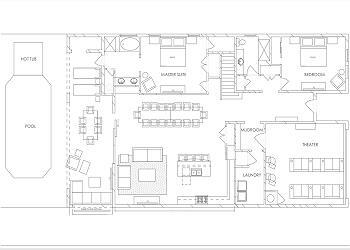 The other’s in the spacious loft sitting area. 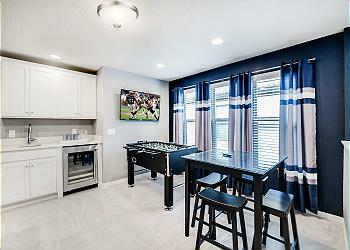 This is an awesome spot for game day and watching more than one of your preferred sporting events simultaneously. 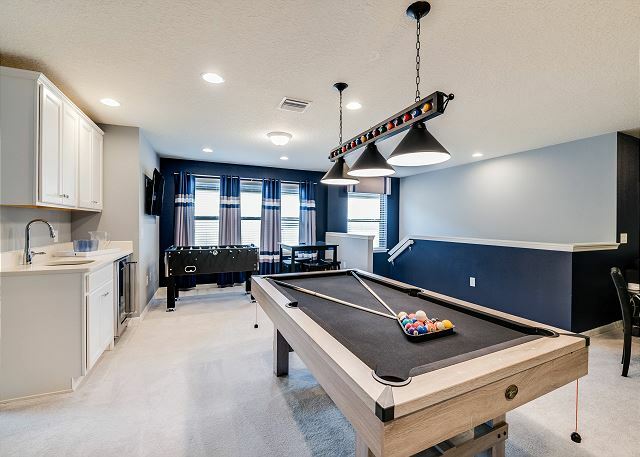 Guarantee you’ll never want to leave the house. 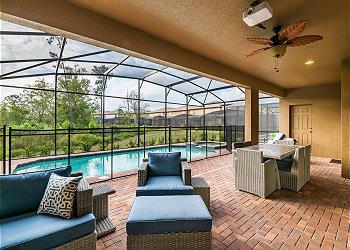 Bring the entertainment outside with an outdoor movie theater! 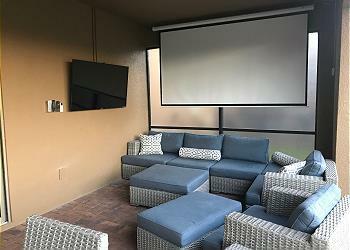 At the private pool area, there’s a large 110 inch outdoor movie screen to watch your favorite movie under the stars. 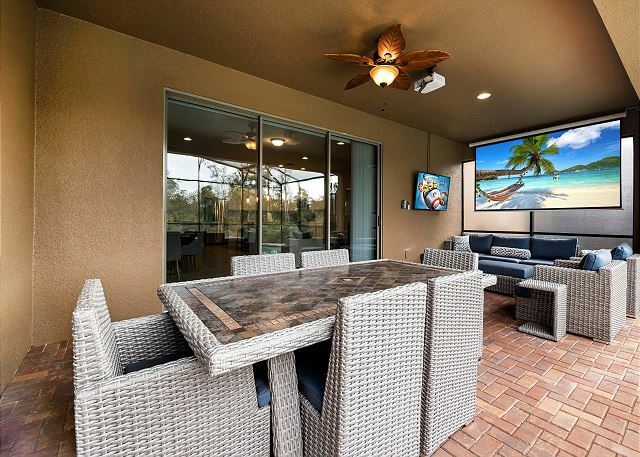 Why stop there, In addition to the outdoor theater, there’s a large 55” 4K Smart TV. Your choice, watch the big game, your favorite show or movie on TV, or use the big screen all while lounging by the pool or spa!... Paradise! 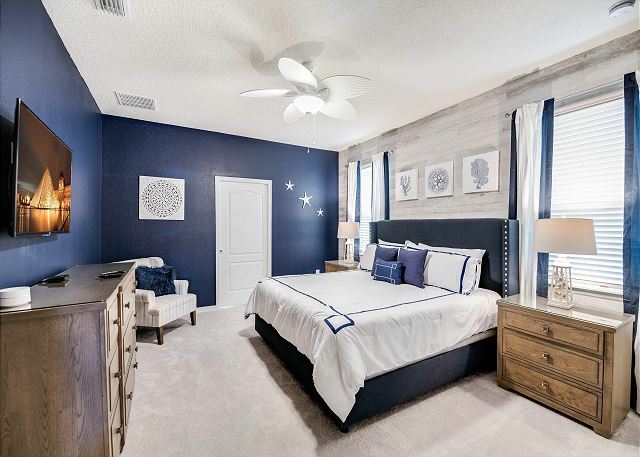 We have thought of everything for this home, there’s not another one like it with all these features and amenities, book fast before it’s gone. 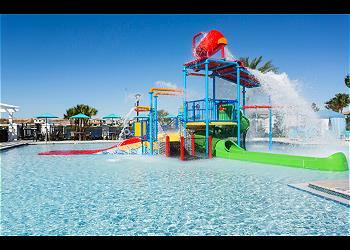 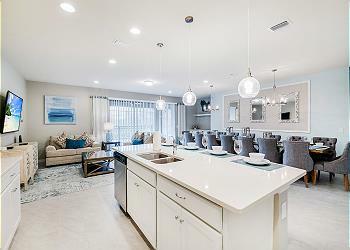 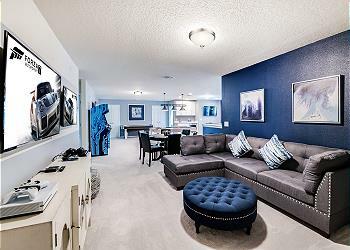 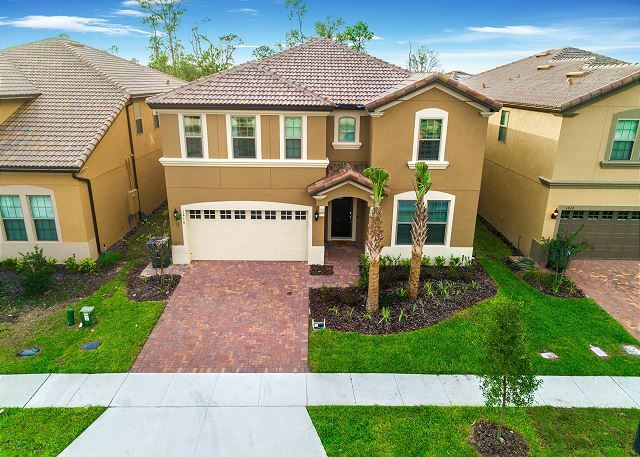 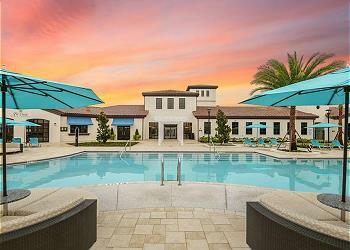 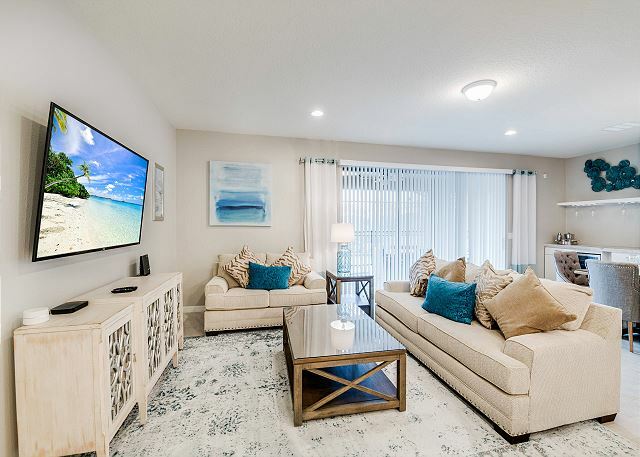 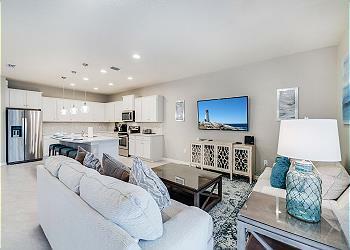 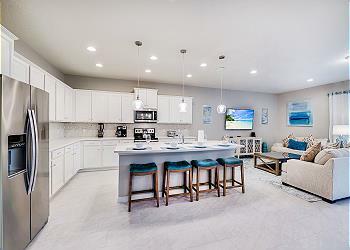 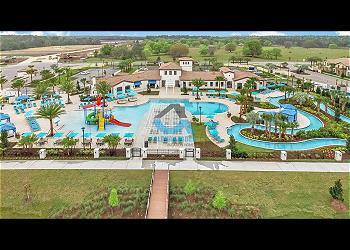 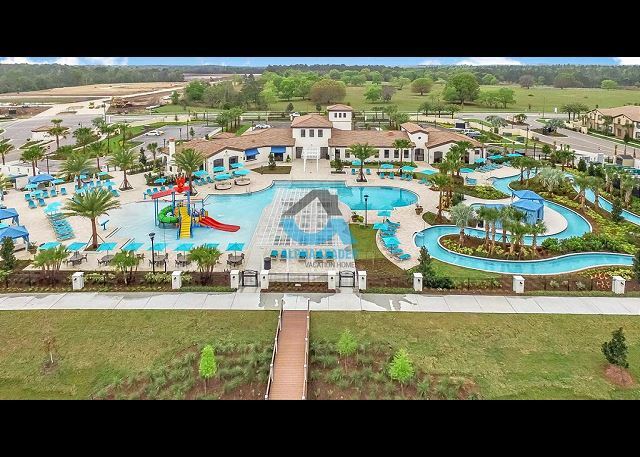 Windsor at Westside Resort is one of the newest and most luxurious communities in the Orlando/Kissimmee area. 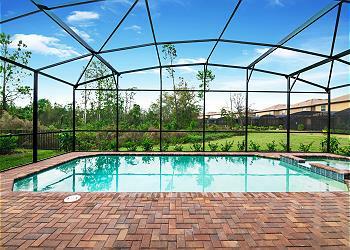 This gated resort features an extraordinary huge clubhouse, lake and pier. 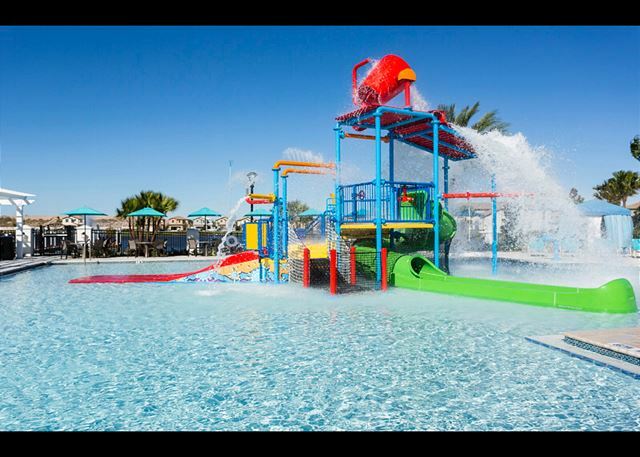 It also has a large zero entry style pool complete with Cabanas, loungers, umbrellas, waterslide, lazy river, and kids water playground. TheTiki Bar and Fireplace Lounge serves food and beverages for poolside dining. 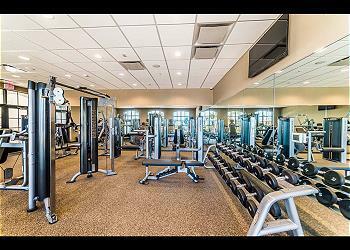 All guests get access to the complete fitness center, sand volleyball and basketball courts, Soccer field, video arcade area and sundry shop.